81, of Honolulu, Hawaii, passed away peacefully with family on her side, on Sept. 20, 2017, under hospice care at Palolo Chinese Home in Honolulu. Born on Aug. 11, 1936 in San Nicolas, Ilocos Norte, Philippines. Parents are Ceferino Camagon and Arsenia Ulep. She moved to Hawaii in 1990. She was a strong woman with a strong sense of family. She took pride of her children and grandchildren. She was fond of sharing news about them and would be all too glad to show pictures she carries with her. She had an entrepreneurial spirit, engaged in successful buy/sell trade of gold coins, frozen and smoked fish in the Philippines. In Honolulu, she was a salesperson at Jimmy's Produce Store until 2011. She was a warm, engaging, and a hardworking woman, who is also good at numbers, all good attributes in her vocation. She loved flowers and ornamental plants. Despite her frail health, she would get up early, pick flowers from the garden and arrange them beautifully. 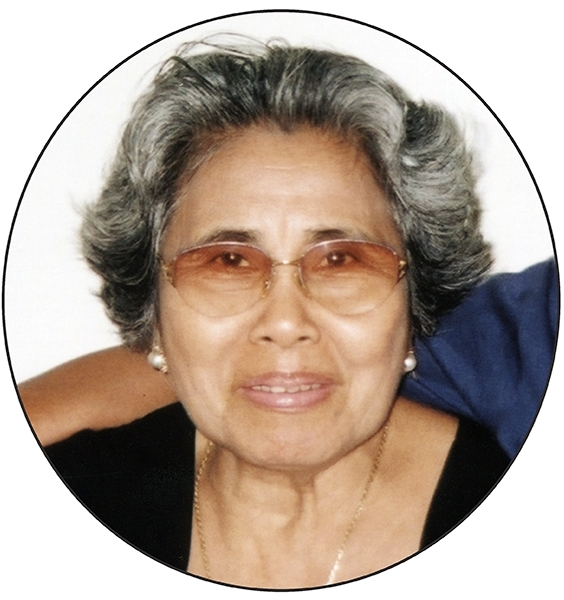 She is survived by her loving family; husband of 62 years, Carmelo "Melo" Bonilla Sr.; 6 children, Eileen (Ernie) Bagay, Lito (Irina), Marizza (Pablito) Pasalo, Alex (Vicky), Noel, Melinda (Tom) Puetz; 9 grand- children, Mark, Raffy, Rachel, Cassie, BJ (Euselyn), Xander, Andrew, Jordan, Eddie; great grandchildren, Nathan, Teddy; brothers, Alejo and Apolinario. Relatives and friends are invited to her Funeral Service on Saturday, Nov. 18, 2017. Viewing & Mass (9am-12pm) at St. Philomena's Catholic Church, 3300 Ala Lualani St., Salt Lake, Honolulu, followed by Burial & Reception (1-3pm) at the Valley of the Temples Memorial Park, Kaneohe.